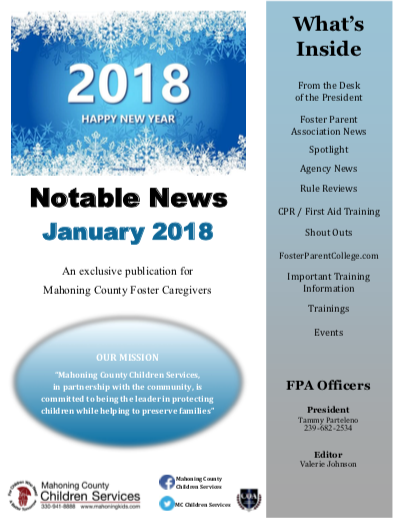 The Foster Parent Association (FPA) of Mahoning County is comprised of licensed foster parents who provide unconditional love, safety and well-being to Mahoning County Children in foster care. The FPA offers a place for foster/adoptive parents to gather and discuss critical issues and provide support to each other for the hard, yet rewarding work of caring for children. 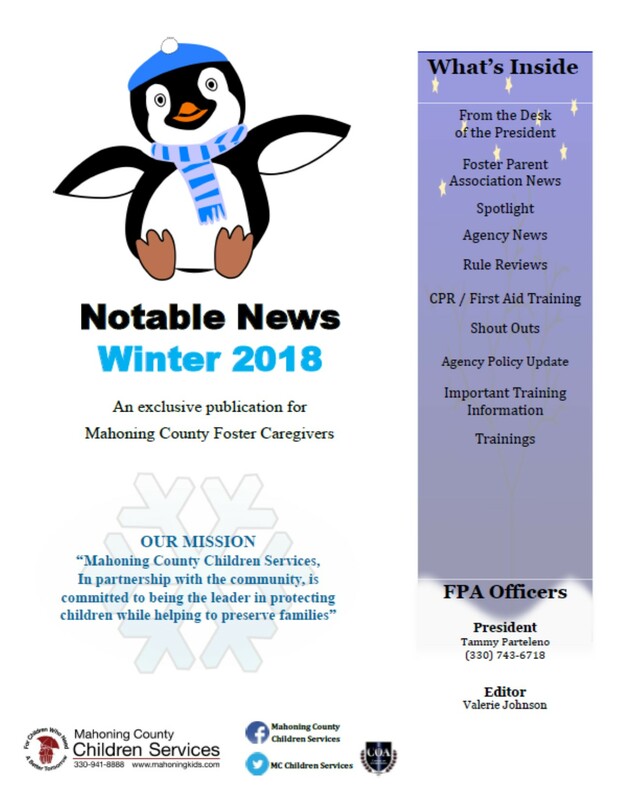 The FPA also promotes and enhances mutual coordination, cooperation, and communication among members of the Association and Mahoning County Children Services. 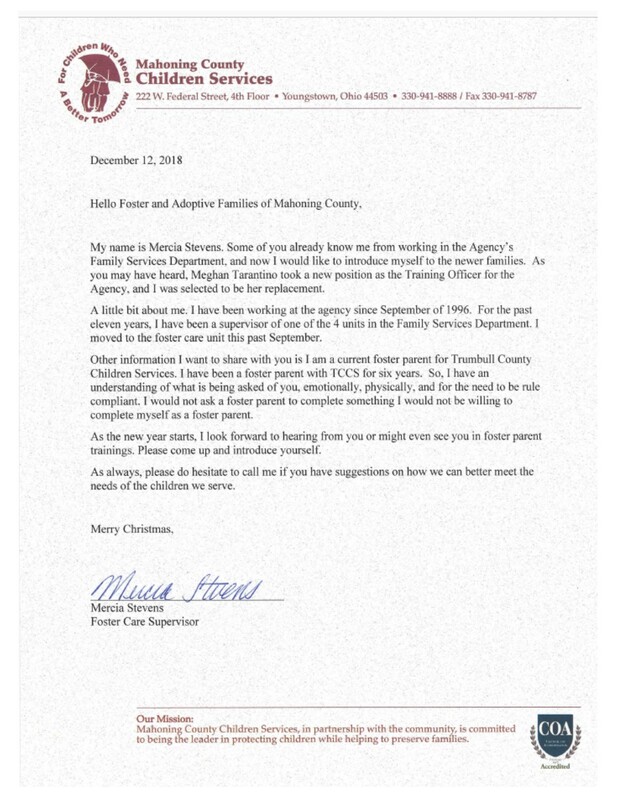 The organization works in cooperation with Mahoning County Children Services to improve foster care and adoption services. The FPA also acts as representatives of active foster parents in matters of grievance and advocates for training and education of its members. 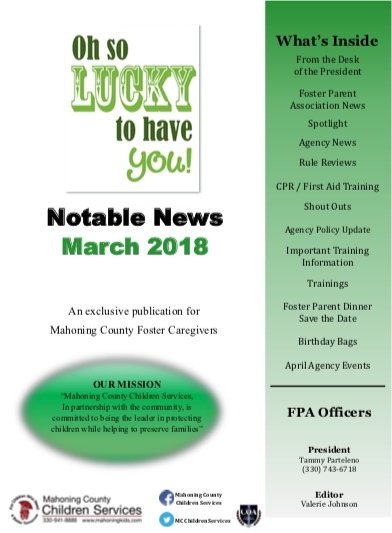 The FPA meets on the second Monday each month from 6 to 8 PM @ Mahoning County Children Services: 222 W. Federal St., 4th Floor, Youngstown, OH 44503. Please contact the Association President Tammy Parteleno for information and for meeting dates and times.